If you are looking for beautiful Lake Huron views, this ride is for you! Leave Tobermory by taking Highway 6 back down the peninsula, and then follow County Road 13 all the way to sandy Sauble Beach. While you’re here, take a lunch break at Sola’s Beachfront Grill, a restaurant with a great view of the water and with plenty of parking out front just for motorcycles. Continue on to picturesque Southampton, park on the main street and tour through a few of the unique shops. Follow Miramichi Bay through to downtown Port Elgin or head down to the beach and park your bike at the lovely little North Shore Park, where you can stretch your legs and take in a Lake Huron sunset. 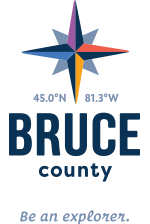 When your finished exploring Port Elgin, take Bruce Road 23 and 33 all the way into Kincardine. When you reach the end of your adventure, head down to the water to catch one more glimpse of the Lake Huron waves. Consider riding this route in July when the Kincardine Scottish Festival and Highland games are in full swing, to take in the heritage of this lovely lakeshore town.